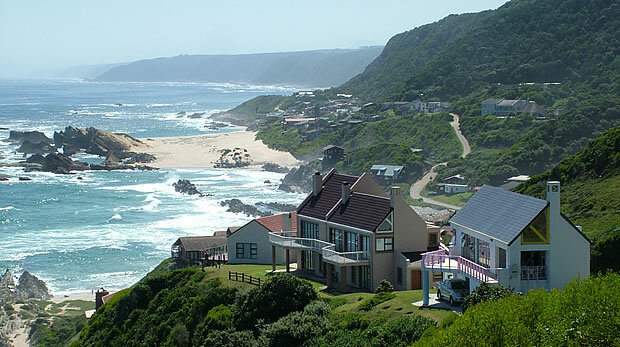 Take a relaxed drive from Oyster Bay to Oubos where the Tsitsikamma River forms the Eastern boundary of this magnificent region, stopping to indulge in a little shopping between the vast selection of local produce from jams and preserves to arts, crafts and gifts. As you make your way down to Eersterivier and Oubosrand, the first glimpse of the ocean makes for a breathtaking experience. Here, nine holes of golf can be enjoyed with the sound of waves lapping at the shore create the perfect background music. As you progress along the R102 from Oubos to Elands River, the imposing Witels Peak comes into view, obscured slightly at the foot by commercial pine plantations which resemble soldiers at the front. 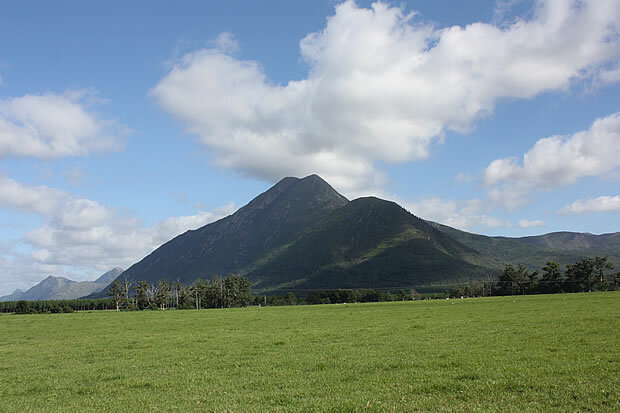 This peak is the second highest in the Tsitsikamma mountain range, but is the highest peak within 10 kilometers of the coast in the Southern Hemisphere (citation; Ross Naude). 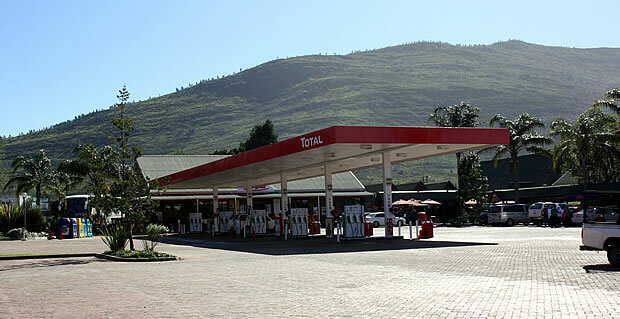 The development of the Witelsbos area was fuelled by the establishment of a forestry station by Captain Christopher Harrison in 1846. Thanks to the contribution of Harrison and Fourcade, who later succeeded Harison as Conservator, many foresters’ residences were built and the influx of new residents later led to the demand for a postal agency and general dealer. The offices of Cape Pine can be found a few metres from the original building which still stands today. Veering left as you exit Witelsbos will take you down Robbehoek Road, an untarred road, which if followed to the end, will lead to the cliffs overhanging the ocean. It is not recommended to explore this road unguided, as the prevailing rain often makes it quite treacherous. If the road markers are correctly followed two private, owner-operated hiking trails can be reached. The Bloubaai and Elandsrivier trails are not for the faint of heart and provide a level of exhilaration along the rocky heads of the rugged coastline. Continuing with the R102 surrounded by lush, limitless green pastures, a small clearing to the right of the Elands River Bridge provides a parking space for those wishing to venture down the steep stairway to the river itself. This is one of Tsitsikamma’s best- kept secrets which you can explore at leisure without any cost involved. Otters and many species of bird are often spotted here, and the view of the bridge from below provides an interesting new perspective. A waterfall feeds a large pool ideal for swimming in summer. As one contemplates the water, it seems almost impossible that meters above, on the banks of the river, American and Mexican wolves are being rehabilitated by the Lupus Foundation. The R102 terminates about 1 kilometer past this point, as the N2 has been constructed over part of the old road. It is therefore necessary to take a turn to the right, back onto the N2 toll road. Blueliliesbush, another prominent forestry area, is home to one of South Africa’s largest foliage exporters which ships up to 15 tons of harvested ferns and fynbos per week to the international cut-flower market. Dairy farms and pine plantations make up a large part of the greater Blueliliesbush area which encompasses land all the way to the coast, including the start of the famous Dolphin Trail. The Sanddrift River separates Blueliliesbush from Sanddrift where the Dutch Reformed Church of Tsitsikamma is located. Sanddrift and Thornham make up a large area of residences belonging to farm-and forest workers. The Storms River Bridge is located just beyond Thornham - a landmark well-known to everybody who makes use of the National Road between Port Elizabeth and Cape Town. As one approaches the bridge a familiar feeling sets in: not one of trepidation, but of being at one with the world. This is where you want to be... Welcome to our garden.